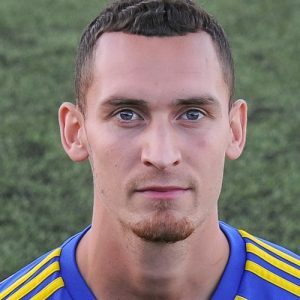 A sixth league win on the bounce moved Khalsa into fourth position as the deadly combo of Dan Westwood and Lee Chilton proved the ruin of another side. While Boldmere and Khalsa battled out a scrappy first half that had some observers loudly wondering at half time whether this was destined to be a stalemate, a much more open and action-packed second half ultimately settled things. On only three occasions in the first half did anything remotely resembling a chance occur. Seven minutes in and Chilton – already with seven goals going into the match – blazed over after great work from Carlo Franco. Three minutes later and Westwood managed to get a shot away but Lewis Fenney in the Mikes goal was comfortably equal to it. The game then became really tight for the rest of the half, plenty of possession and energy on both sides but only one real change of note just before half time when Franco was just unable to head home from a Chilton corner, sparking a mini scramble before the ball was cleared. The second half was markedly different in tone and character. Westwood, within 90 seconds of the restart, put Khalsa in front, turning home from close range a fine cross from the right by Franco after being fed by Josh Thomas, his eighth goal in seven games. Two minutes later and the lead would almost certainly have been doubled but for a brilliant intervention by Joe Lyng in the heart of the Mikes defence to cut out Chilton’s curling pass to an unmarked Westwood. At the other end, ex-Khalsa striker Rikardo Reid muscled his way past skipper Tes Robinson and lobbed inaccurately over Sam Arnold’s crossbar before play swung back almost immediately and Westwood had a good chance, dragging a shot wide after turning well in the area. The lead was doubled on 55 minutes, Thomas was hacked down in the penalty area and – after Westwood’s miss from the spot last week – Chilton stepped up to rifle home. Boldmere – three wins out of three at home in the league going into this game – were not taking this lying down. On the hour, Ben Usher-Shipway – an absolute menace on the right flank all afternoon – and Cameron Gayle both had shots brilliantly saved by Arnold during one particularly productive break. And then Reid – scorer of ten goals for Boldmere this season – was the recipient of a great ball from Usher-Shipway on 67 minutes but blazed over in a great position. Momentum swung back to Khalsa and on 78 minutes what looked for all the world like a square ball from the right by Thomas – who was involved in almost everything good Khalsa did – that was gratefully tucked home by Westwood only to be flagged for offside. Three minutes later, Westwood twisted and turned in the box, finding himself space to shoot only to fire over the crossbar. Boldmere’s last decent opening came on 82 minutes, a through ball almost ended with a bizarre own goal off Franco as the ball deflected wide of Arnold’s post and then from the resulting corner Alex Melbourne had to clear off the line and to safety. Sporting Khalsa: Sam Arnold, Carlo Franco, Alex Melbourne, Shawn Boothe, Tes Robinson (captain), Dave Meese, Rico Taylor (Alex Woodhouse), Liam Armstrong (Luke Adams), Dan Westwood, Josh Thomas (Johnnie Haynes), Lee Chilton. Subs not used: Jay Holdcroft, Leon Miles.